AS IT STANDS: Why Is It That When One War Ends, Another Always Looms? Why Is It That When One War Ends, Another Always Looms? Another war has been declared over. America officially left Afghanistan after 13 years. Our longest war has quietly slipped into history along with 2,200 trooper’s lives. On December 28th, the war in Afghanistan came to an end at the cost of one-trillion dollars. President Obama told the nation it was the "responsible conclusion." In other words, it had to end someday. Just like the war in Iraq, right? Or, the war in Vietnam. They had to come to a conclusion too. In all three cases, our legacy was, and is, chaos. Democracy no longer even a memory in Vietnam. Iraq is under siege from ISIS because their army – the one trained by the US – has already fallen apart after we left. Over 50,000 of their military is a “ghost army.” Men who bribe there way out of serving through a scam. So we are back in Iraq…helping militarily. Unwilling to watch the country fall to terrorists. Meanwhile, the truth is Afghans hate Americans and are glad to see us leave their country. The pretense of Democracy will wither as warlords once again gain control. The country will convulse in continued agonies as the Taliban seek to reestablish themselves. 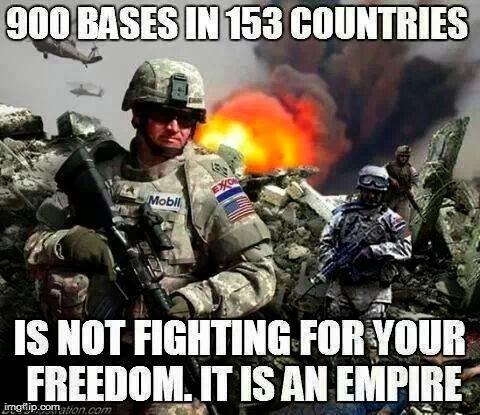 The real unavoidable truth is our wars will never end as long as the US military industrial complex – and the other industries that benefit from providing supplies for our war machine – control the Pentagon and Congress. Hints of war. We’re in an undeclared war with ISIS now. Who will be next?